Diabetes is a very serious disease that effects your whole body, including your eyes. 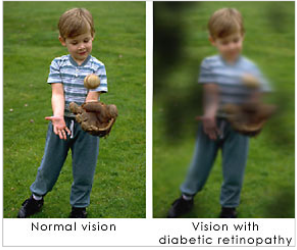 It is even more pertinent for people with diabetes to have regular eye checkups to make sure the disease is not destroying your eyesight. And while patients with diabetes have a higher risk of problems, with diet control and proper monitoring we can help keep your eyesight optimal.